Dear Reader: Today is thursday, November 25th. Six days after my 20th birthday, I still can't realize how fast this year has passed. Faster than a solemn shooting star, as if it where escaping from us. Time, indeed, always tries to escape. It goes away from our hands like the sand out of our fingers, making us feel like we've never had nothing. Nothing at all. Although it feels like all the old photos are paintings of an imaginary ghost called dream, we were there, Our memories were real time, were present, were in front of our eyes. Everything was there. So time, in a certain way, can be like a crazy bird, a seraphic form full of magnificence, a vast splash of glitter in the face, or maybe a fussy Carousel. Fussy carousel. That's a good term, actually, and I'll tell you why. Time and destiny are melodies of the same strange butterfly, called life. And life can be hard, sad, lonely. Sometimes, we are trapped on the same travel, on the same endless loop of sadness, seeing the same people, going to the same places, and we want to stop, we want to go away, to go anywhere but there. Time itself sometimes is a whaste of time. But in spite of the fact that time may be a conglomerate of unfitting pieces of differents puzzles that puts us in a lot of overwhelming situations, time is everything, it's just that as people grow up they lose the sense of Things, they forget how to see the soul in everything, the aura of every detail, the forms of the clouds, and last but not least, the beauty of traveling in carousel. 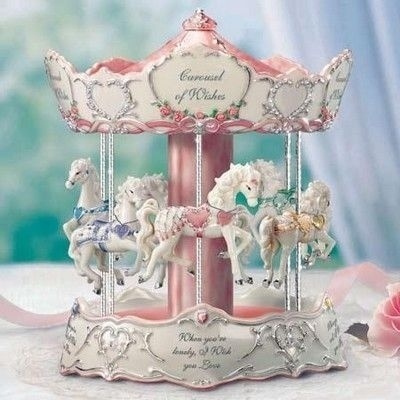 When I was a kid I used to love Carousels. I am sure that if I hadn't been on them, I wouldn't have become who I am now. I found a kind of magic on that special place. so colourfull, so unique. But what I think I mostly loved about that is that we stay doing the same things, as if time could stop during a minute. Doing the same thing might be boring unless we do the things we love, in that case is more of a paradise, a rainbow. I found myself trying to find that kind of special place in everything. 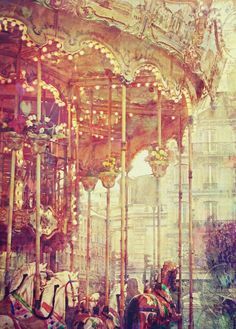 As I started school, I realized that people are not like carousels. When I wen't to school, my classmates used to break my art homework and my oun stuff, hide my things, hit me with balls in gymnastic or even laugh of what I like. One day they put dirty toilet water in my drink. Things did not change by changing school, people started to bully me too because I was always studying, reading. They used to tell you "She thinks she's clever". Even the gym teacher would be really mean to me because of my clogged bronchi, the respiratory problem that made sports really difficult for me. They had told me a lot of horror stories to scare me, to make me stay awake at night and laugh at me. During my life I had a lot of sleep paralysis because of that. I started feeling a strange kind of prescence everywhere, a realistic fear of someone who was always behind me, a strange fear of everything: I had Panophobia. During high school things changed. They would hardly ever laugh at me or start rumors, but they would leave me complitely alone. I wasn't a party girl waiting for alcohol, I was an old soul trying to find her way out of hell and I hated that. I hated myself. I hated myself so much for being weird. I started cutting my arms, I wanted to suicide. I felt lonely, fat, stupid. So I stopped eating. So I became Anorexic. There was a point where, Although I wanted to eat just a salad, my stomach couldn't deal with it so I would vomit. I would have 3 panic attacks that could last two hours each. I used to talk alone to calm myself or walk in circles in my room, without seeing any person. And then, the worst part of all, the thing that made me feel I was complitely insane. My uncle, a doctor, told me that if I stayed that way I could become squizophrenic. But I had my carousels: my red teletubbie, my lovely Eddie, a lot of notebooks where I'd draw and write stories and songs, and my voice. My voice had always been the carousel of my life. It helped me with my respiratory problems a lot. I started taking singing lessons at 10, and I started writing at 7. Some of my classmates became carousels too. But never like my voice. IT was the most amazing friend that I've ever had. I had a little toy recorder which I would use to practice "the little mermaid" songs. I started taking singing classes and I started to take dancing and acting classes at 15. I was in the Astral theatre with my class, showing our work and I sang in front of every member of my school in special events all the time. It was fantastic. It was the most amazing feeling of all time and it stills being that way. I bought a professional microphone and a lot of books. I learned Riffs, Runs, Melisma and Whistle register. Now I am a coloratura soprano. It was A LOT, LOT, LOT of hard work, but I can reach from B2 to C7 (Which is like 4 octaves and a half). I'm also studying to be an otorhinolaryngologist in the UBA, I'm studying to be a doctor and a vet, I want to know everything about my voice, I want to know my best friend, my carousel, my everything. Now I'm a Jazz, Soul, Blues and Opera singer, a songwriter, a novelist, an artist, but I still being the same old soul, the same little curious, the same girl trying to find out that loop, trying to find happiness and a way to make her dreams come true into the dust, into a the clouds, trying to let her wings fly into her Fussy Carousel of time. Listen to the wind, it talks. Listen to the silence, it speaks. Listen to your heart, it sings. Find the colour in every place, in every feather, in every star. Find the beauty of looking the grass growing, make your voice grow like a butterfly and paint into empty pages with it's dancing feets. Be free. Be polite. Be creative. Be a kid forever. P.S: ¿What is your Carousel? Angel, la muñeca, ha sido visitada por 192103 visitantes (359749 clics a subpáginas) Disfruten de la web muñecas! !